For years, Copeland Accounting and Tax Solutions has been providing quality, personalized financial guidance to local individuals and businesses. Our expertise ranges from basic tax management and accounting services to more in-depth services such as audits, financial statements, and financial planning. At Copeland Accounting and Tax Solutions, making our clients financially savvy and more profitable in Southeastern Wisconsin is what we are all about. We do this by going beyond the numbers. Our clients are educated to understand precisely what those financials mean. This helps them speak more intelligently with bankers, manager cash flow, accurately project growth, and secure additional capital. Everyone we work with receives accurate accounting and payroll services, open communication, and tireless research and analysis-all in an effort to help you get the most for your money and reduce tax burdens. 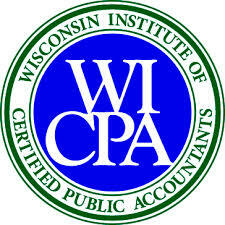 Copeland Accounting and Tax Solutions is one of the leading firms in and throughout the Oak Creek/Franklin area. By combining our expertise, experience and the team mentality of our staff, we assure that every client receives the close analysis and attention they deserve. Our dedication to high standards, hiring of seasoned tax professionals, and work ethic is the reason our client base returns year after year. Our Clients are located throughout the Milwaukee area to include Oak Creek, Franklin, Greenfield, Greendale, West Allis, Menomonee Falls, New Berlin, Waukesha, Racine, Muskego, and Hales Corners. Our mission is to help clients maintain financial viability in the present, while taking a proactive approach to achieve future goals. This requires open communication to reach an understanding of our clients' needs through research and sound analysis. Copeland Accounting and Tax Solutions is dedicated to meeting these goals with high standards of excellence and professionalism. We have been a staple of the area's business community for years, and pride ourselves on the level of esteem we have earned. Our dedication to hard work has earned the respect of the business and financial community in and around the area. We believe this to be a direct derivative of our talent and responsiveness to our client base. Whether you are a current or prospective client, rest assured that individuals and businesses who choose Copeland Accounting and Tax Solutions receive competent and timely advice. Jane has always been a numbers person toting the logo “More Than A Bean Counter”. A graduate of University of Missouri – St. Louis, Jane continued the pursuit to become a certified public accountant and to own her own firm. Along the path, Jane has worked for regional CPA firms and in industry as a CFO. In June 2010, Copeland Accounting and Tax Solutions opened its office in Oak Creek, Wisconsin. Jane’s affiliation with WICPA, NATP, QuickBooks Pro Advisors, Sage 50 Accountants and a CPA roundtable group are a few of the avenues she utilizes to stay up-to-date with the ever-changing tax code. Jane participates in programs offered by Action Coach and is an avid reader of business books to bring the most up-to-date methods to her business clients. Jane believes in proactive tax planning. Throughout the year she keeps business and individual clients informed about tax law changes, opportunities and potential liabilities. She assists clients with corporate and individual income tax compliance and advises on sales and payroll tax strategies. Another important part of running a successful business is knowing how to handle challenging situations. To assist her clients, Jane provides management with continual and ongoing consulting services including profitability planning and tax strategies. She reviews and recommends software that ensures management is provided with timely and accurate financial reports to run a profitable business. Community involvement in the Chamber of Commerce and on committees at church enables Jane to bring her business knowledge and joy of working with people to these venues. There is even time to organize Trivia Nights for a Saturday evening of fun. Jane follows her motto of work hard so she can play hard! Jane is an avid bicyclist and walker. The neighborhoods near their home on Grays Lane are one of many routes for a long walk or bicycle ride. Growing up on a farm, Jane enjoys being outdoors.